For the Love of Buttermilk . . . .
Two of our bestsellers, make their debut in Buttermilk. This is the St. Francis clutch. Introducing the “Eros Day Bag,” available in Buttermilk embossed lambskin. Visit the shop to place your order! This entry was posted in Ayanna Listenbee Collection, Ayanna Listenbee Handbags, Handbag Design, Handbags and tagged Buttermilk, buttermilk lambskin, clutch, Eros Day Bag, Handbags, lambskin, Love, St. Francis clutch, thelookbookphilosophy.com, tote on August 16, 2015 by thelookbookphilosophy. This entry was posted in Music, Self Expression, Videos and tagged Culture, Dance, Fuse Odg, Love, Subways, Youth on June 26, 2013 by thelookbookphilosophy. IS IT REALLY POSSIBLE TO BE IN LOVE WITH A SHOE? I mean truly connected with said shoe… at one… all giggly, happy and lovestruck… as if the sole purpose of it’s creation, was so that we would one day meet? Tom Ford Python Pumps; they give me shivers of joy. This entry was posted in Accessorizing, fashion, Shoes and tagged Love, python, style, Tom Ford on February 1, 2013 by thelookbookphilosophy. I can’t believe it’s Thursday again! Time seems to be flying by so quickly! Each day is filled to the brim with phone calls, meal preparations, homework, pick-ups and drop-offs, and luckily, lots of laughter sandwiched in between the sibling bickering that has infiltrated our home ☺. I feel like I have not done a Thankful Thursday post in a while! Today, I am thankful for the little things. 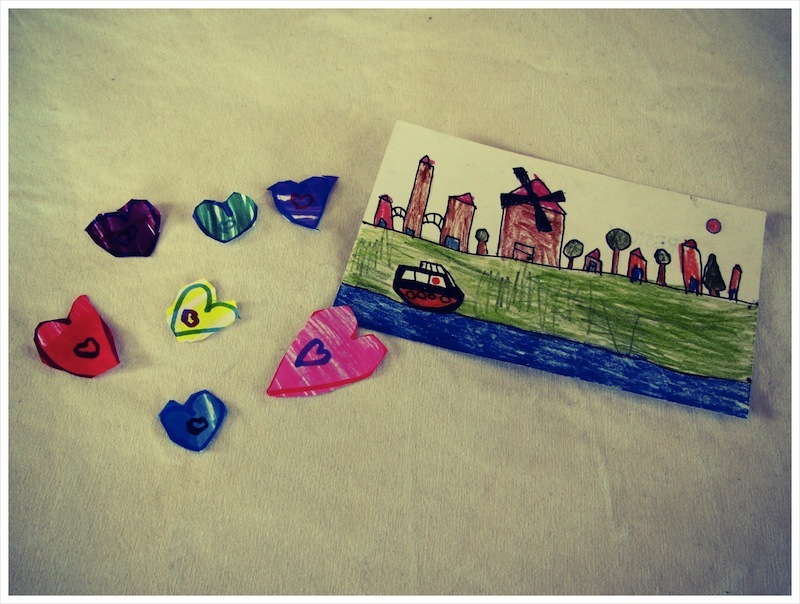 Yesterday my daughter drew, colored and cut out seven hearts for me. When she gave them to me she told me how much she loves me. Although those words are spoken often in our home, I realize it is a blessing to receive them every time they are uttered. The day before, my son drew a really cool picture of a windmill and boat scene. Reston has been fascinated by windmills since he was two years old. He is always drawing them and creating them out of things he finds around the house. He gave me this picture and I keep it on my desk now. It makes me smile. What are some of the things family members do for you that you are thankful for? This entry was posted in Art, Family, Kids, Thankful Thursdays and tagged children's artwork, hearts, Love, Windmill on February 23, 2012 by thelookbookphilosophy. 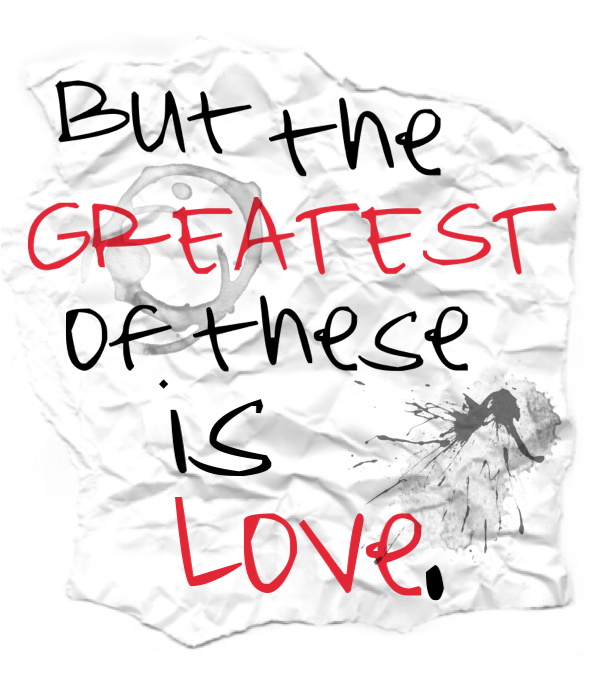 This entry was posted in Duly Noted & Quoted, Quotes and tagged Love, Scripture on February 7, 2012 by thelookbookphilosophy.